Handmade in England, the Cambridge Chesterfield 3 Piece Suite is our most popular, bringing classic sophistication to any home. 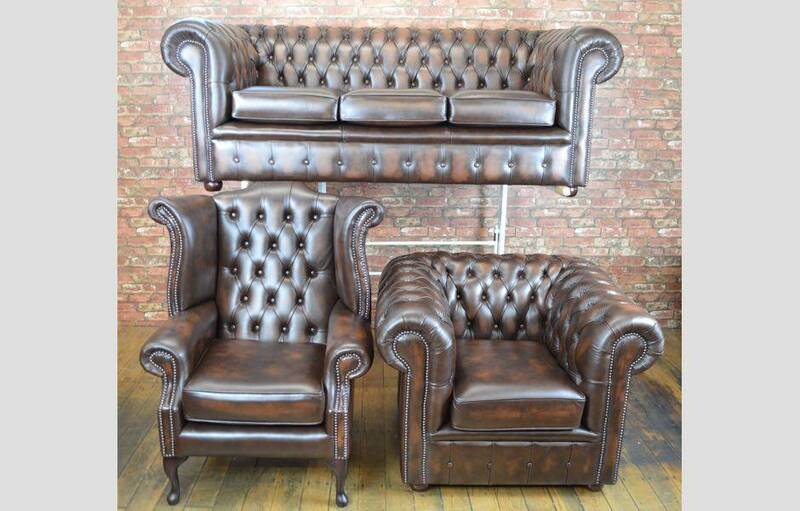 This timeless set includes a leather 3 seater sofa, one Queen Anne chair and one Club chair. Finished in Traditional Antique Brown leather. The Cambridge suite is manufactured to the highest quality using only the finest beech hardwood frames and full grain antique leather upholstery hide. Ready made and available for dispatch at the earliest opportunity.